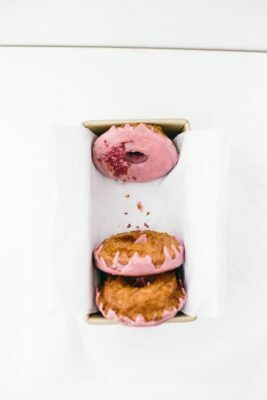 Rhubarb-blackberry streusel buns might be my new favorite breakfast indulgence, coming in right behind my beloved all-stars: straight-up cinnamon rolls. 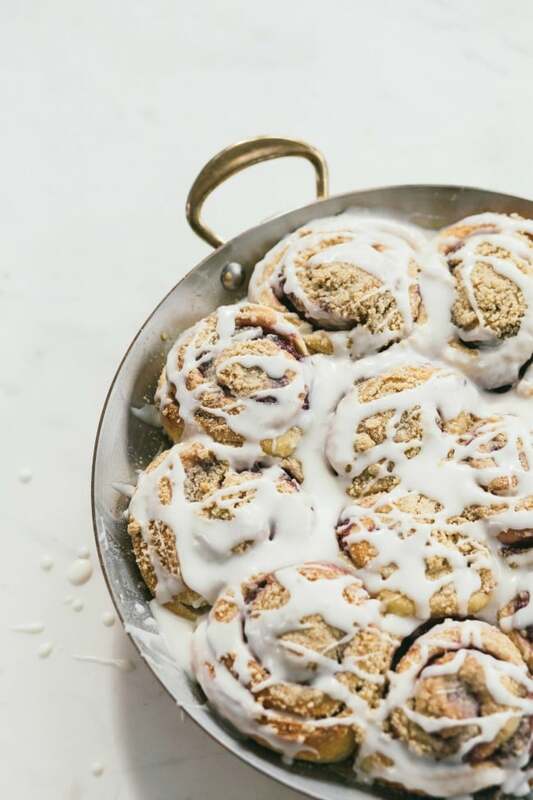 These rolls remind me of a perfect coffeecake: with a tender dough, a swirl of jam, and then plenty of streusel and icing gracing the top of each. 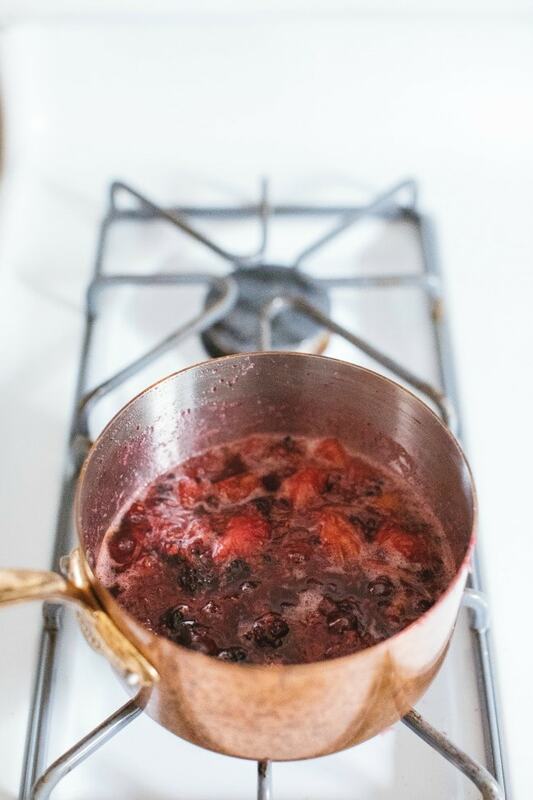 I have a recipe for the rhubarb-blackberry jam included here, but if you are in a hurry, any store-bought jam you love will also work fine. The photo above shows them in a gorgeous 10-inch copper round pan from Mauviel, and it’s the pan I most often use to make cinnamon rolls and other buns in. The rolls always bake up beautifully, and it’s a great serving pieces as well. And guess what? 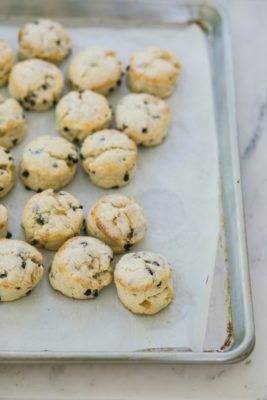 A few other things: The new Bake From Scratch Magazine is out (July/August Issue) and I am honored to be included in the 2018 ‘Baker’s Dozen’, with a spot-light on my pan-banging chocolate chip cookies. You can find an issue in a store near you. We are two days away from summer vacation at our house! I’m reading Harry Potter outloud to my kids, and have started the Flavia de Luce Book Series for myself. But I’d love any other suggestions you have for good summer reads! 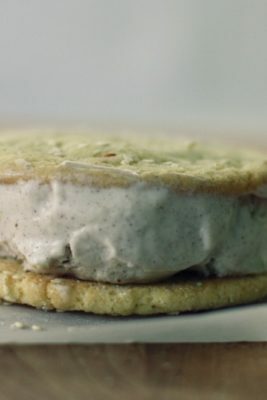 ZoeBakes made Coffee No-Churn Ice Cream Sandwiches from my book; you can find the recipe here. As noted above, if you don’t want to make the rhubarb-blackberry jam, any store-bought jam that you love will work. In the bowl of a stand mixer, combine the all-purpose flour, sugars, almond flour, salt, and cinnamon on low. With the mixer on low, add the butter, one tablespoon at a time, until the mixture comes together but still is quite crumbly. In a small bowl, mix the cream cheese, milk, salt, and vanilla until smooth. Add 1 cup of the powdered sugar and mix again until smooth. If the mixture is too thin, add more powdered sugar until the desired consistency is reached. Line a half sheet pan with parchment paper (the photo shows the 10-inch Mauviel pan – if you use something similar, generously grease the sides and bottom of the pan with butter). On a lightly floured surface, fold the dough over 3-4 times and then form it into a ball. Let the dough rest for 15-20 minutes. Roll the dough into a 1/4-inch thick rectangle. Brush the entire surface with 2 tablespoons melted butter. Start with 1/2 cup of jam, and spread the jam over the dough. 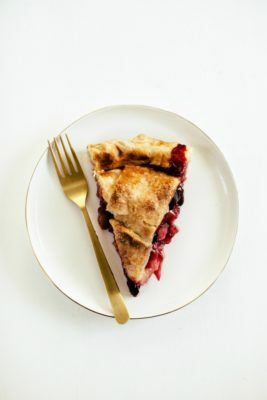 If more jam is needed, add more until there is a thin layer over the dough (you don’t want too much jam, or the next steps will be extra messy). Roll the dough up, starting at the short end. Using a sharp kitchen knife or scissors, cut the log into 12 equal pieces. Adjust an oven rack to the middle position, and heat the oven to 350F. Generously cover the tops of the buns with the streusel before putting into the oven, gently pressing the streusel into the buns (there will be some streusel left over). Bake for about 22 to 27 minutes, just until the centers are set when poked with your finger, and the tops are light golden brown. Transfer the pan to a wire rack and let cool 10-15 minutes before icing. Is there a print option? These look spectacular! Yum!!! These look so delicious! 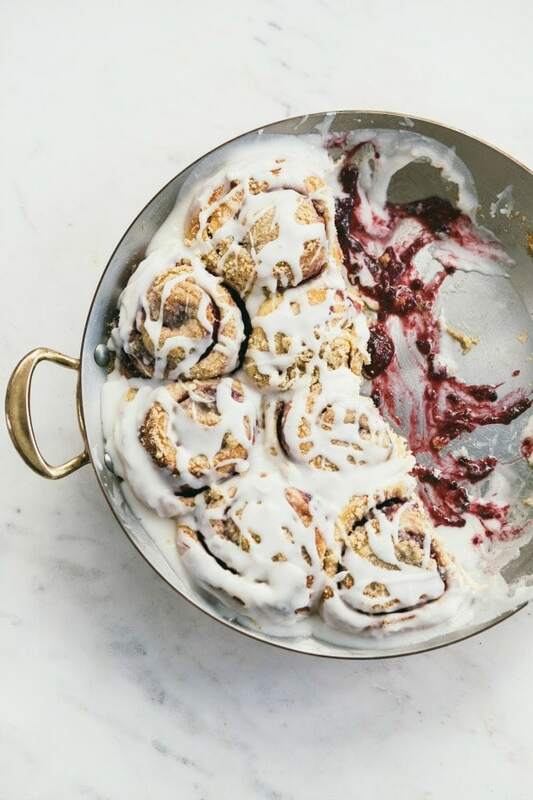 The buns look yummy and that pan is gorgeous! I don’t know anything about how Instagram works so my name won’t be in the hat for the pan, but I will keep the link for the pan and save my pennies to buy one someday. Cannot wait to try these! Yummy! YUM I love the sound of all the berries and the streusel – must give them a crack. My normal go-to is cinnamon/date/walnut. As for summer reads, I’ve got Little Fires Everywhere and The Sell Out on my list! 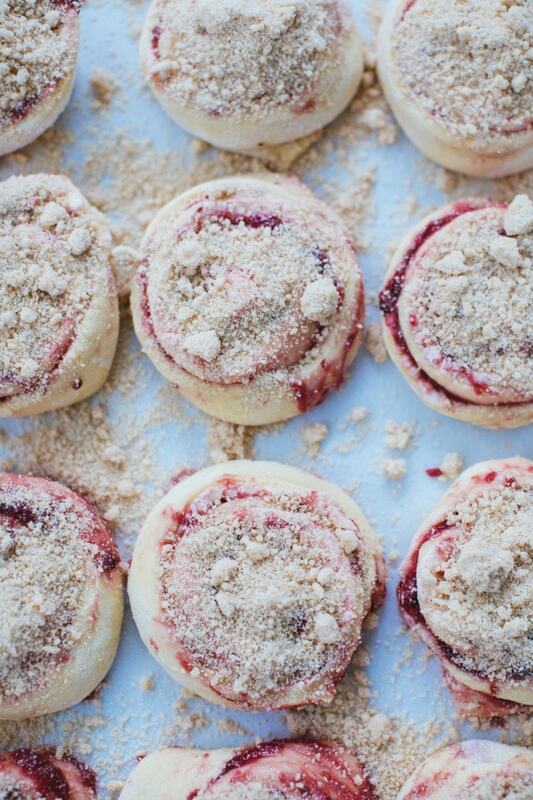 I have to make this rhubarb blackberry jam to go in these buns ASAP – my mouth is watering! Also I’ve still never read Harry Potter and my husband and I just recently decided to wait until our daughter is old enough to start reading it aloud to her so we can all enjoy it together! Love that you’re doing that too! I made these for July 4th. They were perfect. I love the rhubarb jam…you will have a bit left over for your toast!